Hi, my name is Trudy Pateman and I am a fully qualified Remedial Massage Therapist who is passionate about health and wellbeing. 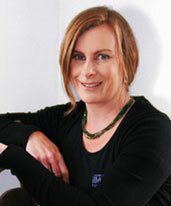 I completed my diploma of Remedial Massage with the Australian Institute of Applied Sciences in 2008. My journey as a therapist has helped me come to understand that each person is unique and requires a tailored treatment plan. One person may need very deep muscular treatments where the next person may require more gentle techniques. It is my goal as a Therapist to understand each individual persons needs for healing. Taking care of your health is vital to your overall wellbeing. Regular massage along with a healthy lifestyle which includes good nutrition, quality sleep, regular exercise/play and a healthy mind can lead you on your path of reaching your full potential. If you are unsure of what massage treatment you require please do not hesitate to call me to discuss and I will be most happy to assist.